Motorcycling is a popular sport and mode of transportation in the Cleveland area – especially in the warmer months. Riding in Cleveland can be hectic due to heavy traffic and negligent drivers. But northeast Ohio is known for its winding roads and beautiful scenery. In this area, motorcyclists can enjoy riding in both urban and rural settings. Ohio motorcyclists understand the risks associated with riding. According to the National Highway Traffic Safety Administration (NHTSA), more than 80 percent of motorcycle accidents result in injury or death to the person riding the motorcycle. When an accident occurs, it is important for accident victims to understand their legal rights and options. At Elk & Elk, we have been representing accident victims in Cleveland and across Ohio for decades. To schedule a time to meet with one of our attorneys, please call 1-800-ELK-OHIO or email us. Intersections are especially dangerous for motorcycles. Motorists may fail to look out for motorcycles and may pass through an intersection where a motorcyclist has no time to react or brake, resulting in a collision. Another dangerous scenario is one in which motorcyclists ride in inclement weather. The motorcyclist must be on high alert, but this is not always enough to stop a collision in which another motorist could not see the motorcyclist because of reduced visibility in bad weather. Additionally, making turns can be dangerous for motorcyclists, as motorists may simply not be paying attention. A common scenario is one in which a motorist is making a left turn – coming out of a driveway, for example – and fails to see a motorcyclist. Regardless of the cause of the accident, whenever a motorcyclist is confronted with the power and size of a motor vehicle, the motorcyclist is at a disadvantage. At Elk & Elk, we have represented numerous motorcycle accident victims, and we have seen firsthand how devastating these injuries can be. One reason motorcycle accident injuries are so severe is because the rider is often ejected from the motorcycle upon impact. Even if the motorcyclist is wearing a helmet and protective clothing, the injuries can be catastrophic. Injuries to the neck, back and spinal cord are common. And unfortunately, we have seen many fatal motorcycle collisions. Motorcyclists in Cleveland enjoy riding along the shores of Lake Erie, through the winding roads of the Cleveland Metroparks, and beyond. Just 20 miles south of Cleveland, Cuyahoga Valley National Park draws motorcyclists from around the region to explore the scenic area. Whether commuting or leisurely riding, motorcyclists know all too well the challenges of sharing the road with other motorists. Even when motorcyclists take all safety precautions, accidents can happen. Our attorneys are here for you after you’ve been injured in a motorcycle accident – or after you’ve lost a loved one in a fatal crash. I wasn’t wearing a helmet: Can I still file a personal injury claim? Yes. Not wearing a helmet does not exclude you or limit your legal rights. Talk to an attorney as soon as possible about your options after a motorcycle accident that did not involve helmet use. 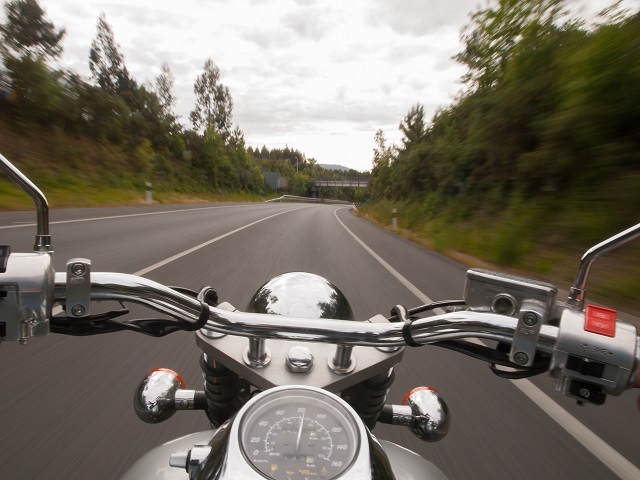 Can motorcycle passengers file a claim? Yes. An individual injured as a passenger on a motorcycle involved in an accident can file a claim against the at-fault driver. My insurance company wants me to quickly settle my claim. Should I accept its offer? Your insurance company will try to settle your claim quickly, but the amount it offers may be much less than your claim is worth – and much less than you need. It is advisable to speak to a personal injury attorney in the aftermath of a motorcycle accident to protect your rights and help you seek the compensation you need to move on with your life. I lost a loved one in a motorcycle accident. Can I pursue a claim? In Ohio, the spouse, parents or children of someone who died in a motorcycle accident (or any other accident) can pursue compensation through a wrongful death claim. Other family members may also be eligible if they can demonstrate that they have suffered financially because of the loss. What is the statute of limitations for motorcycle accident claims in Ohio? Family members have two years from the date of the accident to file a personal injury or wrongful death claim. However, it is advisable to act promptly in the aftermath of an accident. More evidence may be available immediately following the accident, which an attorney can begin building your case upon. After an accident, you may have many questions: How will I pay my medical bills? The accident was caused by a negligent motorist – how do I hold him or her responsible? Do I have to deal with my insurance company alone? We invite you to contact the law firm of Elk & Elk to schedule a no-cost consultation, where we can answer questions about your accident. Call 1-800-ELK-OHIO or complete our online contact form to schedule a time to meet. We have offices in Cleveland and Mayfield Heights, and we can travel to meet you if you are unable to come to our office.